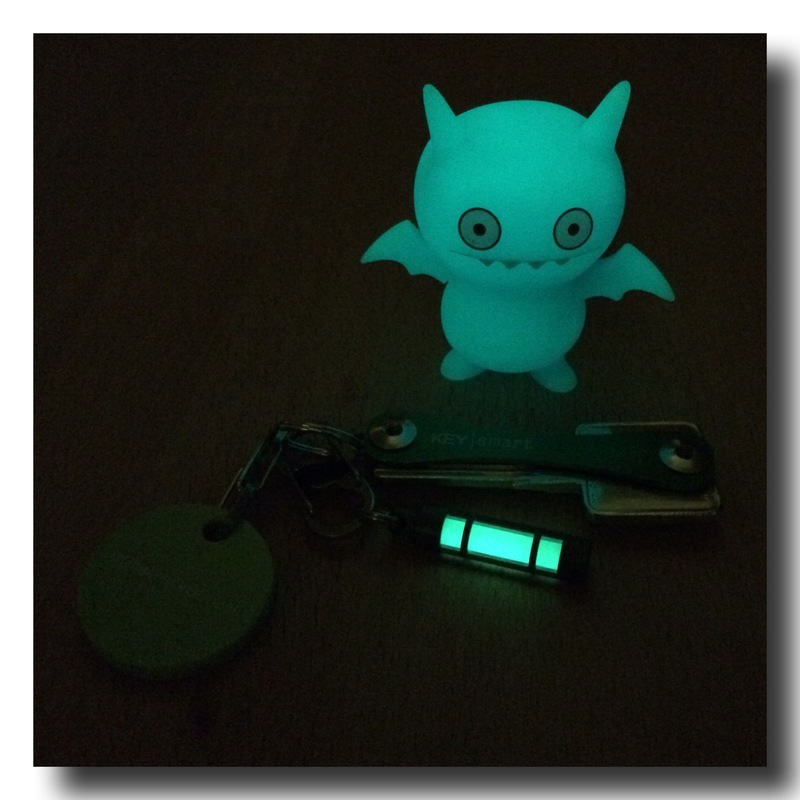 I’m glowing … glowing in the dark! 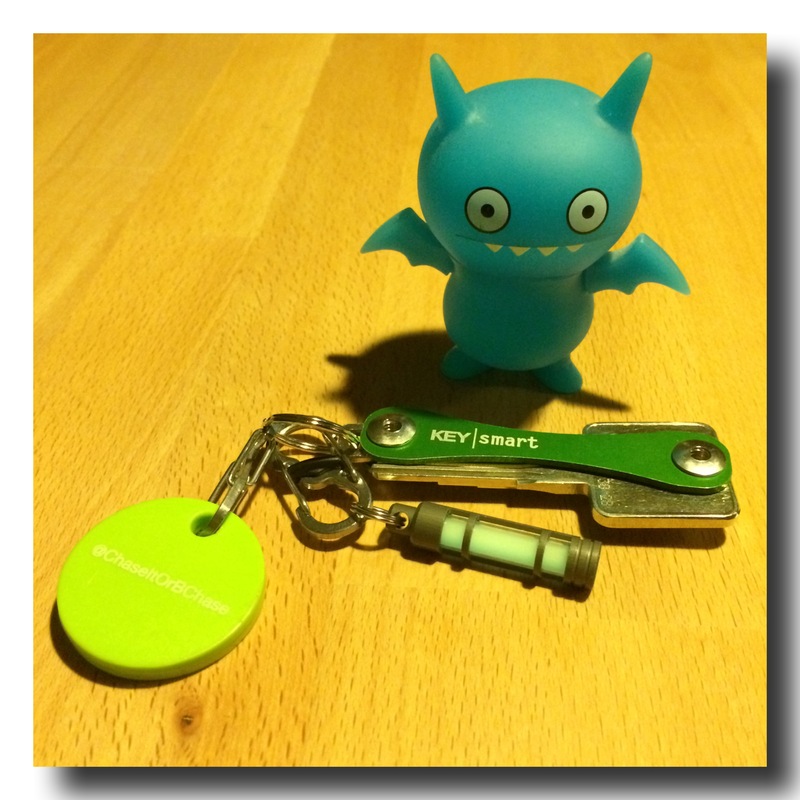 I don’t anymore thanks to my (super light, as small as a dollar coin) glow fob. 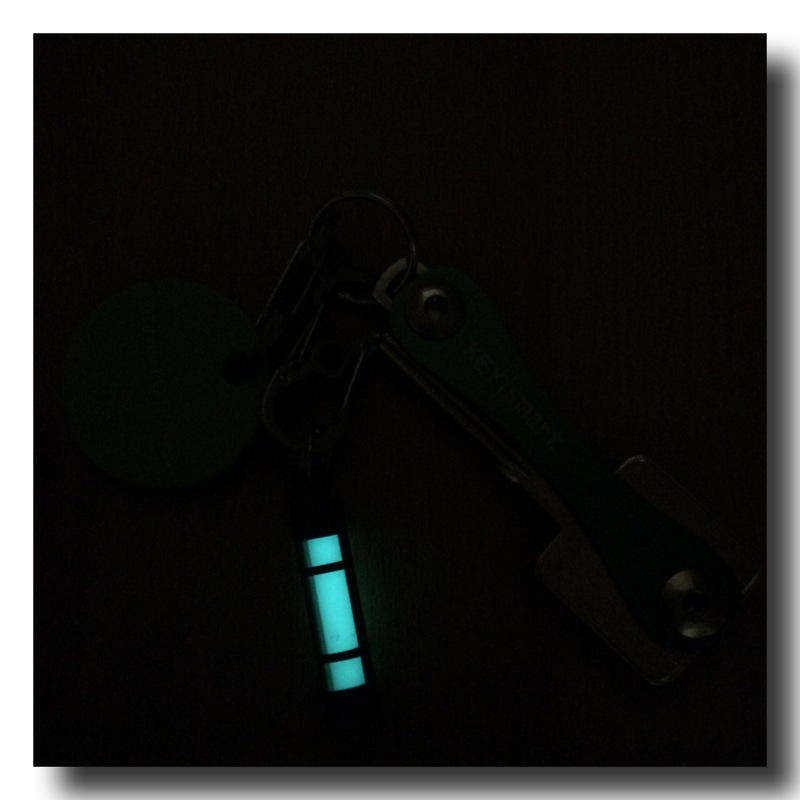 My glow fob has the shape of a little tube containing a pellet and liquid. While exposed to the sun or UV it stores the lights ready to glow in the dark. 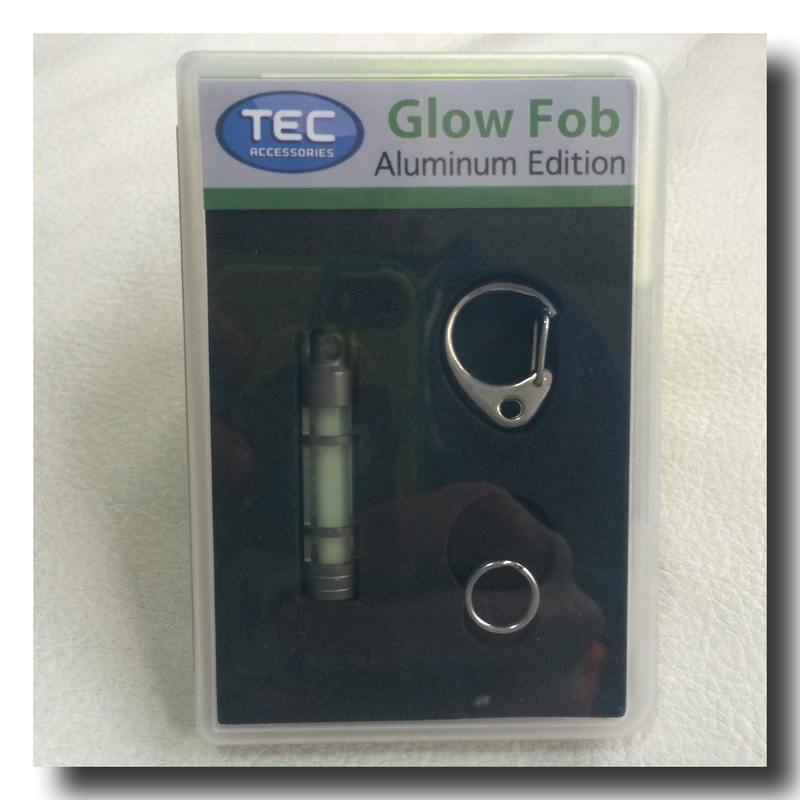 If you feel like going DIY, you can buy the pellet, liquid and container separately … I went for the easy ready option and bought the TEC-A3 Glow Fob. Chose between aircraft grade aluminum (TEC-A3, priced at US$18), stainless steel (TEC-S3, US$23) or titanium (TEC-T3, US$36). Great idea!!! 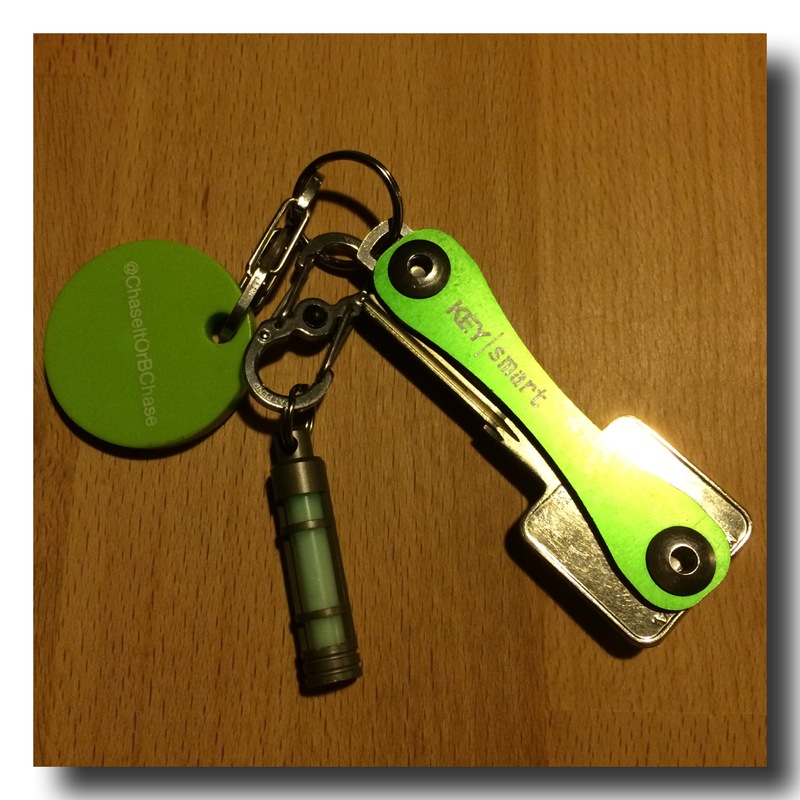 I already have an led fob attached for using to open the door in the dark. I have a package of the glow in the dark stars. I think I’ll attach one to the fob for an easier find.